Good small town locals and visitors pub, friendly landlord, good selection of ales on offer, big banner outside advertising a forthcoming real ale festival. Humpty Dumpty and Wolf beers on offer. Good Pub. It doesn't look too promising from the road, but go inside. It was busy for friday lunch, but enough and friendly staff. Good food, well kept beer; good selection too. 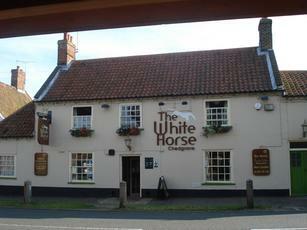 Excellent pub near Loddon staithe. New management making a real effort to keep it up to GBG standards. Everone was very helpful and friendly. Good choice of real ales. Large ouside seating area on decking and in the garden. Pub was hosting Morris dancing and a BBQ the evening we visited. Food was excellent, if a little on the pricey side, no delay in serving even though the pub was very busy.